A war of words has broken out between two rival charities bearing the name of the diarist Anne Frank, with one of the foundations accusing the other of acting like Nazis. The Anne Frank Fund in Basel, Switzerland, is trying to retrieve about 25,000 letters, documents and photographs that it lent the Netherlands-based Anne Frank Foundation in 2007. The Dutch foundation, however, insists that it is the legal owner of some of the archive. The increasingly bitter dispute over the papers of the Second World War diarist has been rumbling on in the courts since 2011, but it spilt into the press this week when one of the Swiss fund’s board members accused the Dutch organisation of actions reminiscent of Nazi Germany. “In the 1940s, the Frank family had its possessions seized by the Germans and their accomplices – now a Dutch institution is trying again to carry out a seizure,” Yves Kugelmann told the Dutch newspaper, De Volkskrant. A spokeswoman at the Anne Frank Foundation, which runs the Anne Frank House in Amsterdam where the Jewish teenager hid from the Nazis, said they had been trying to resolve the dispute discreetly. “It’s really sad this is happening,” Maatje Mostart told the Associated Press news agency. It is not the first time the Swiss and Dutch charities have clashed over Anne’s legacy, whose recollections of her time hiding from the Nazis before her family was caught and deported to a concentration camp have made her a symbol of the Holocaust. 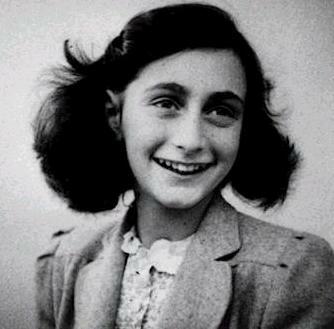 While Anne died aged 15 in a camp, her father Otto survived and published his daughter’s diary. He helped set up the Anne Frank House and bequeathed copies of her writings to the Dutch state, before moving to Switzerland in his later life and setting up the Anne Frank Fund there. Since then the two organisations have tried to work together, but they fought a court battle in the 1990s when the Basel-based fund tried to gain exclusive rights to use her name. It argued that the foundation was commercialising her legacy.